As of 2015, it was estimated that only 11 percent of those residing in camps for refugees and displaced peoples had reliable access to electricity. In May of this year, a UN-run refugee camp in Jordan became the first solar powered refugee camp in the world. In Bangladesh, the UN’s International Organization for Migration (IOM) has been harnessing solar energy to power health stations in settlements where around half of a million Rohingya refugees from Myanmar are currently residing. The IOM has carried out over 75,000 health consultations for refugees with critical health needs, and the introduction of solar power makes it possible to work both day and night to address their needs. As of November, a plan for an energy system which will be able to provide energy 24 hours a day for health care as well as water purification purposes is in development. Solar energy also has the power to improve health cares services in rural India. 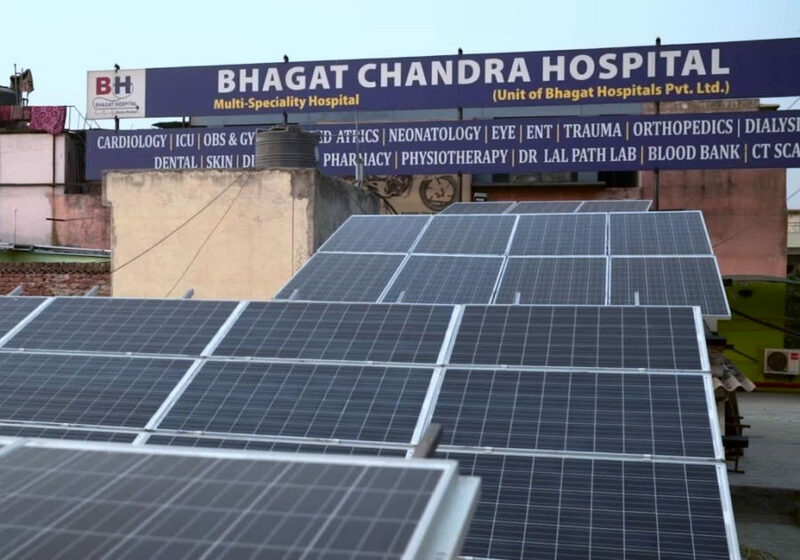 A recent study entitled Powering Primary Healthcare through Solar in India: Lessons from Chhattisgarh, published by the United Nations Council on Energy, Environment, and Water, details the results of installing photovoltaic systems in hundreds of health centers across the state of Chhattisgarh. The National Health Mission and Chhattisgarh Renewable Energy Development Agency has been overseeing and facilitating the process since 2012. The study found that facilities that had solar capabilities were able to treat significantly more patients and experienced less daily interruptions. The Zimbabwean government has stated their support for installing solar power in rural health centers across the country. Mashonaland East has been the first province to install solar, a project specifically designated to increase maternal health. In Liberia, where the rate of infant mortality is high, solar powered “suitcases” have been helping to provide essential resources such as obstetric lightning, phones, and fetal heart rate monitors to pregnant women as well. It is clear that solar power has immense power and potential to increase access to and quality of healthcare in all corners of the world.